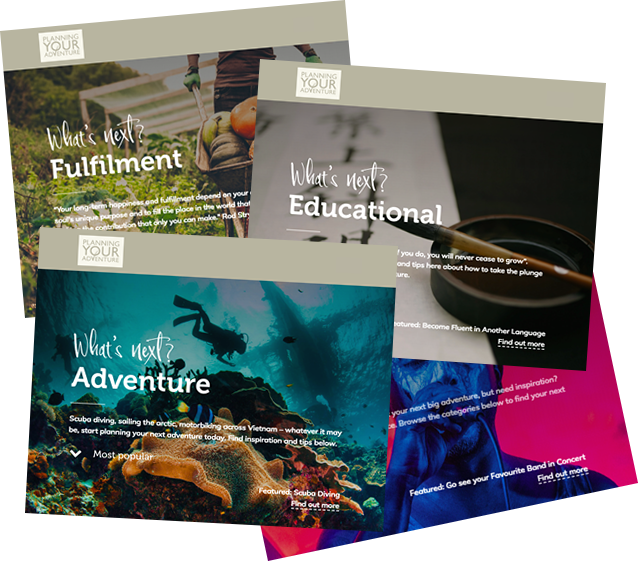 Sign up to our newsletter to receive frequent, new adventures which will give you ongoing inspiration and ideas, straight to your inbox. 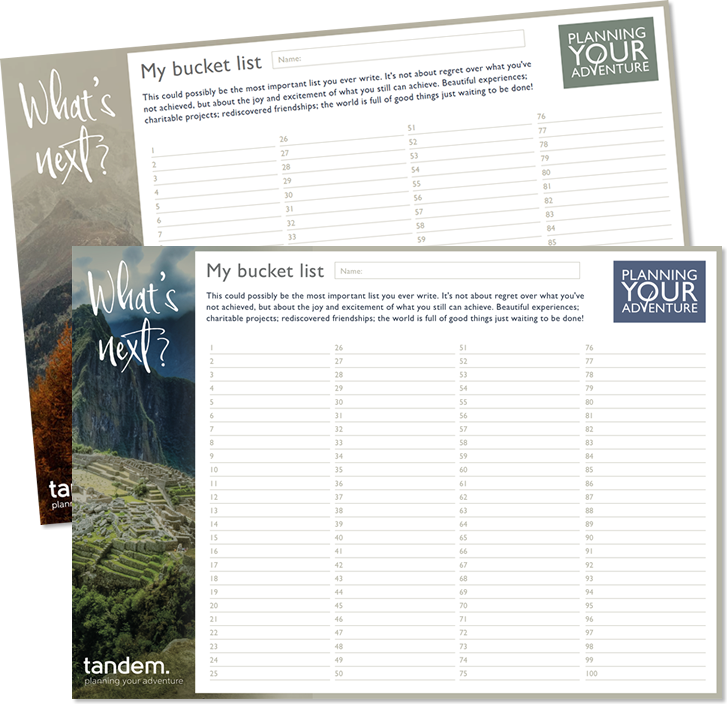 If you’re looking for a proven, efficient way to map out your thoughts about what your next big adventure could be, then look no further than our Bucket List Template! 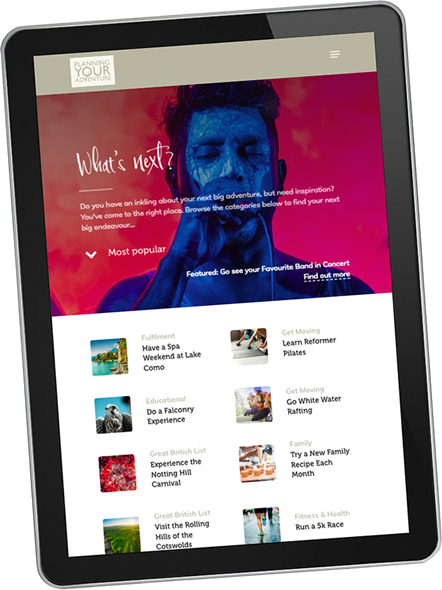 Our Planning Your Adventure website houses dozens of different adventures you could go on. From the wildly exotic (such as camping on one of Mozambique’s deserted islands) to the fantastically local (e.g. starting a vegetable garden), there’s something to inspire everyone. 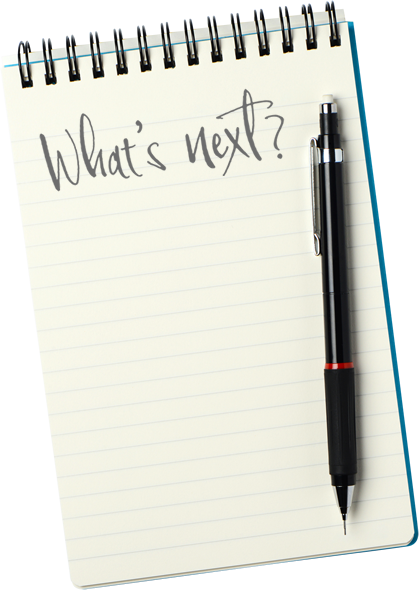 One you have your list of adventures, it’s time to ask yourself “What’s next?” You might really want to do 4 of them straight away, for instance, but you should try and choose one. Order the rest in priority. Then, set a date and start putting the plan in motion. Book those flights. Buy those garden tools. Start your next adventure. Visit the Why Plan? section for some more tools and ideas to start mapping out your distinct, exciting journey ahead. Planning Your Adventure was conceived by Tandem Financial Ltd, a holistic UK financial planning business. Their aim is to help you identify your personal goals and objectives and to inspire you to pursue them, living life to the full. Based in Luton, Bedfordshire, Tandem Financial Ltd is a boutique financial planning firm, specialising in pensions, investments and holistic planning. The team mainly works with business owners, successful families and those approaching retirement, helping them make smarter decisions with their money.